Ah… The eternal question. OK. Not eternal. But something that some people get very passionate about. Let’s start with a little history from my perspective. I grew up with vinyl. We did have cassette decks in the house, and 8 tracks and cassettes in the car, but for a quality listening experience, the vinyl LP was the way to go. 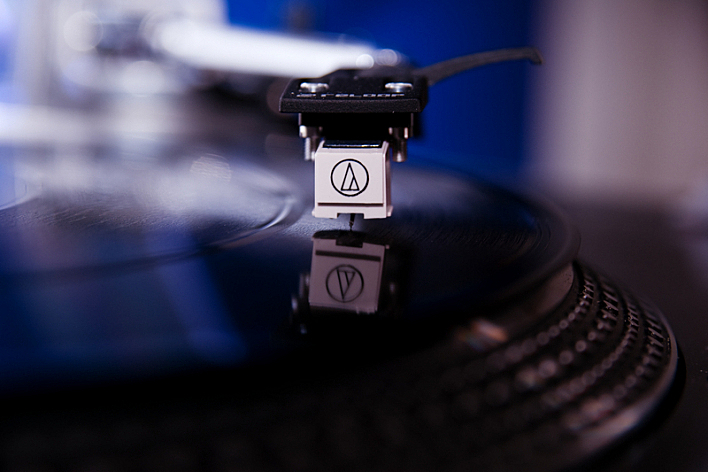 If I think of listening to music as a kid, LP’s are the musical memories of my youth. I learned what music was, and my first music teachers include the following: Eagles, Blood Sweat and Tears, Chicago, Peter Paul & Mary, Simon and Garfunkel (all of them), John Denver, The Carpenters, Led Zepplin (Zoso), Foreigner, Rush (2112), Heart (Little Queen), Aerosmith (Rocks), 1812 Overture, Teddy Bear’s Picnic, Alvin and the Chipmonks… It’s all on LP. Note CSN&Y was on cassette only. And yes, I learned about music from Alvin and the Chipmonks. they had some catchy tunes! I was an early teen when the CD was first introduced to the market place. At first they didn’t sell because the machines were way too expensive for ordinary folks to buy, as were the CD’s themselves – 25 bucks a pop – and the catalog of CD’s that WAS available were mainly classical recordings, and what self respecting teenager was going to buy that???? But in short order, prices began to fall on both the CD player and the CD’s themselves, stereo systems started to include CD players as part of the package, and the record companies started to print more and more rock records on CD. My first good system, A Fisher Studio Standard component system, was purchased from Macy’s in 1983, It included a really loud AM / FM receiver amp – did I mention that is was really loud… it kicked arse! – a turntable, a cassette deck, and a CD player, which was useless because I didn’t have any CD’s. My first CD’s were Toto IV and Genesis ABACAB. 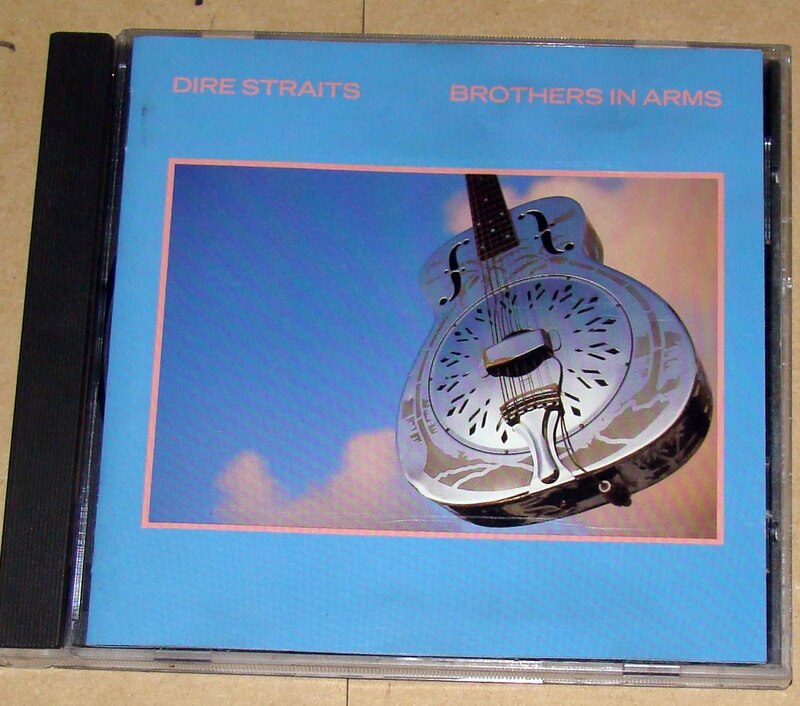 Within a couple more years, there was this little album from Dire Straits called “Brothers In Arms” that EVERYONE had to have, because it was, so they said, the first album to be recorded digitally, whatever that really meant. It was a FANTASTIC album (the previous Love Over Gold was even better, but that’s a topic for a different day) and listening to it ply from the CD, especially the title track, was probably as big a music high as one could have experienced back then! The dynamics were unreal!!!!!!!!!! The LP just couldn’t match it. It was so “thin” in comparison. Granted, not every CD sounded like that one did. During the first couple of years, when CD’s were still selling far below that of LP’s and cassettes, the record companies were just putting out product to fill shelves, and not really paying much attention to the sound of the CD’s themselves. Most rock CD’s that were released were recorded before the advent of digital technology, and were duplicates from the vinyl master. They also sounded kind of thin. But because of the greater fidelity of the digital media, you could also hear things that were inadvertently recorded that didn’t get noticed on the LP format. On the CD version of the Carpenters song “Bless The Beasts And The Children” you could clearly hear a door opening and shutting at the beginning of the song. It was kind of amusing to hunt down flaws like that on the first generation of Cd releases. It would be a few more years before the ideal that maybe these old recordings should be remastered to better take advantage of the digital medias strengths. I have nothing against vinyl. But if you want to know why CD was a great improvement over vinyl, look for an interview with one of the great sound engineers of rock music, guys by the name of Bob Clearmountain and Bob Ludwig. You lose a lot of dynamics on vinyl, especially at the lower end. As a musician who had recorded a few things here and there, I can say from experience that if you want to hear what the artist actually recorded in the studio, what his or her sonic intentions were, digital is the way to go. “I’d just listen and go: ‘Jesus, after all that work, that’s all I get?’ It was sort of a percentage of what we did in the studio. All that work and trying to make everything sound so good, and the vinyl just wasn’t as good. If you’re a musician… and you get to do a mix and you listen to it and you love the way it sounds, and then it’s transferred to vinyl and suddenly it’s got noise and ticks and pops, for me that’s an extremely unmusical event”. That said, there is nothing wrong with vinyl. I don’t blast MP3’s either. The listening experience, and the joy one takes from it, is what counts. As a regular listener, I’m just happy to have music on my phone and able to play it with the touch on the screen. But if I am listening with musician ears, dissecting and taking apart a song to get to know all the subtleties of it, then yes, I’d prefer CD quality at least. There is one caveat here that makes me sometimes long for the old analog records; noise floor issues, and the endless destruction of headroom in modern recording practices. 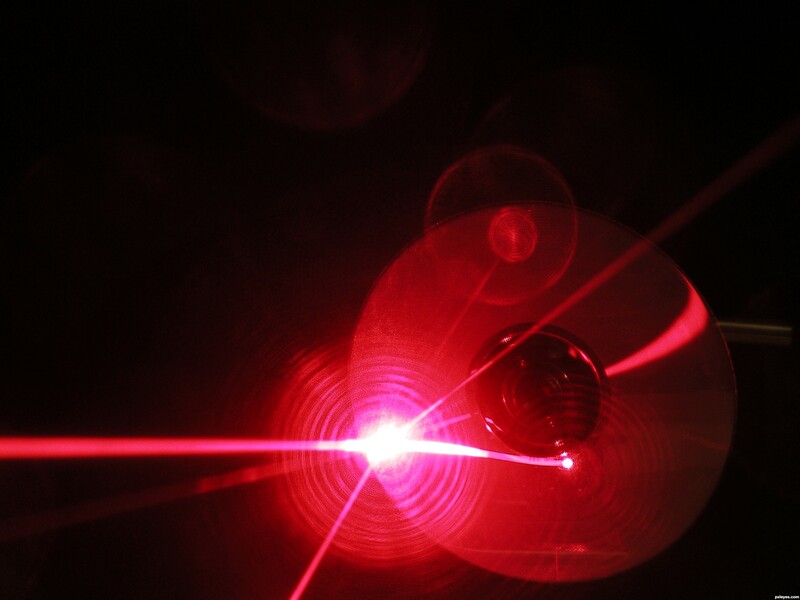 Because of the digital experience, we’ve grown accustom to having our music louder LOUDER than was ever possible when I was growing up in the 70’s. I listen to some recording today and shake my head at how bad the dynamics are. One recent example is the last Toto album, Toto XIV. And yes, I know not everyone is a Toto fan. Ignore whether they are your cup of tea and focus on the final product and the sonics of it, at least on the digital copy. No headroom anywhere! Nothing breathes! It sounds soooo compresses, at all times, even in the quieter songs. It was a real disappointment. And I’m not the only one that noticed. Many of the reviews of the album said the same thing. This might be a case where the vinyl copy may have ended up being better than the digital copy. Donald Trump Is NOT Hitler. So… I totally forgot to acknowledge my eleven year blogiversary at the beginning of the year. If you’re not dead, and have been paying the mere slightest attention to politics, or if you’re alive, I’m sure you’ve come across someone saying “Trump Is Hitler!!!!!”. No. He’s not. Hitler actually had a core set of beliefs. He wrote about those beliefs in Mein Kampf, even as he was becoming politically active. And he pretty much stuck to them and expanded on them once he gained political power. Yes, his beliefs were twisted and delusional, and yes, evil. I’m still trying to wrap my head around the idea that the Jews caused Germany to lose World War One, never mind the “final solution”. Thing is, Hitler really really REALLY cared about things. Twisted and insane, yes. But he cared and had a real passion for his country. The only thing Trump really cares about is Trump… And money. He has no core set of beliefs. That can be said of Hillary Clinton, and there is a lot of evidence that can support that claim. But at least she usually takes a few years to completely contradict a previous statement. Trump has taken three different positions on things within a span of hours! And that’s on the few items he has expresses real opinions on. He doesn’t care about the country. He doesn’t care about Republicans. Judging by his lack of command of any foreign policy issues, even relations with Mexico, it’s clear he doesn’t care about the fate of the nation. He only cares about one thing, and that’s building the Trump brand. And what better way to do that than run for President. If we really want to compare Trump to someone, I would say a better figure from history to compare him to would be Andrew Jackson, except without the political or military experience. Both Trump and Jackson made their fortunes by speculating on real estate. Not so with Hitler. Unlike Trump, Hitler was very politically active by the time he was, had risen up within a political system, and had helped shape a new political party. Jackson, and Trump, hijacked a party that already existed. Trump, like Jackson before him, were called on by the public to run for President, and both are seen as the ultimate outsider. But, in the end, the comparison between those two men is not a strong one. Jackson at least had political experience before he decided to run for President; he was not a complete novice. He, like Hitler, also had a strong sense of mission coming into the office. Of course, many of those Jacksonian ideas, including the removal of Indians and the elimination of the National Banks (the predecessor of the Federal Reserve) had dire and longstanding repercussions for the nation. In short, there is no need to invoke Hitler when there are better role models that are native grown and are probably a better match.